Eric Roinestad is a ceramic artist known for for his ability to synthesize divergent aesthetics and historical references in a thoroughly original way. He produces precise wheel thrown ceramic sculptures and lighting that offer an elegant visual dialogue between the organic and modern; the contemporary and the traditional. Integrating the spirit of California folk modernism with the designer’s own Scandinavian heritage, Eric Roinestad's ceramic pieces are a combination of hand built and traditionally wheel thrown. Imbued with an ineffable handmade character, the result is personality-driven work that is continuously evolving. Eric Roinestad was born and raised on California's Central Coast, surrounded by a family of builders, thinkers and makers. The designer pursued a degree in applied art and design from California Polytechnic State University in San Luis Obispo, before moving south to Los Angeles to establish Eric Roinestad Design, a boutique graphic design studio specializing in print work for the entertainment and fashion industries. In the late 90s, Eric Roinestad was an integral member of the team that conceived and launched Flaunt Magazine, the avant-garde monthly publication that captured the zeitgeist through its deft blend of art, music, design and fashion. In 2002, Eric Roinestad became the senior art director for Capitol Records and was responsible for rebranding the company whilst designing album packaging for the label's top talent. A passion for beautifully handmade work as well as the natural habitat of Southern California led Eric Roinestad towards a new career chapter. The artist’s genesis can be traced back to when the designer began creating ceramics as a passion project. With natural instincts for proportion and form, the work – which drew from his California environment as well as historical modern design and architecture – caught the attention of collectors. Roinestad has been represented by The Future Perfect since 2014 and made his Design Miami debut in 2016 with his first lighting pieces and showed again in 2017 with an expansion of his lighting collection. Roinestad’s evolution now includes a range of sculptural and decorative pieces, most of which are larger scale - oversized vessels and lighting. 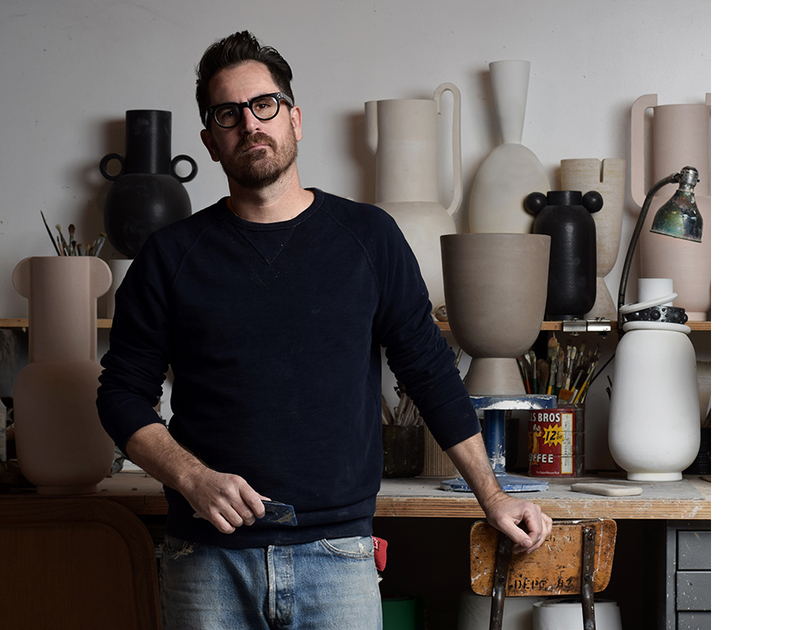 Eric Roinestad ceramics have been featured in publications including the New York Times T Magazine, Architectural Digest, Elle Decor, AD France and Wallpaper.